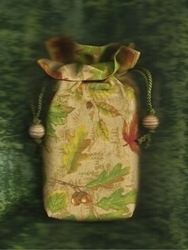 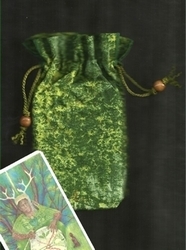 Our Festive Foliage tarot bag was designed to celebrate the beauty of greenery. 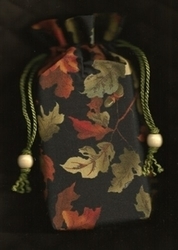 The leaves are shaded from light mossy to olive green tones and they are palmate with the expected five "fingers" or points. 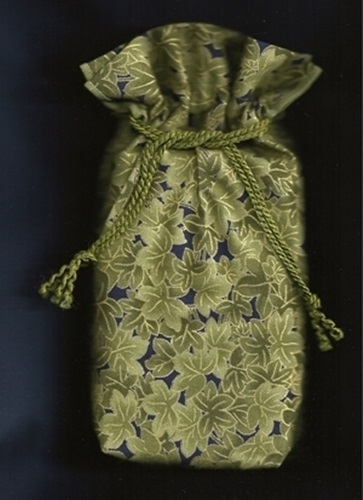 This pattern features metallic gilt gold veins and outlines to each leaf, which adds a festive flair to the fabric. 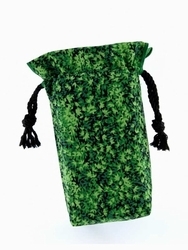 As ivy is a guardian plant that offers protection this bag make a perfect protective home for your favorite deck of cards.